No matter how small your urban outdoor space is, it can offer a lot of unused space above your head. Skypots let you use that space to its full potential by offering a variety of simple white spheres with white bases and transparent tops that can be attached to the ceiling of a balcony and adjusted to an appropriate height. 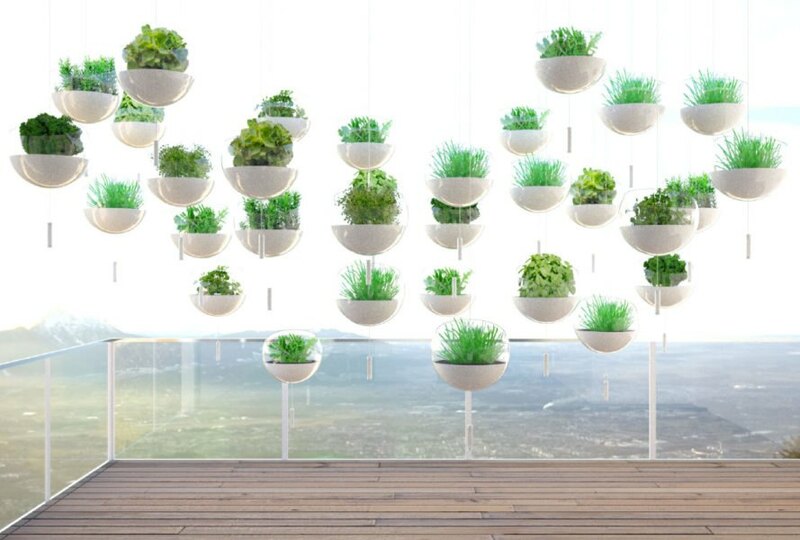 Just hang them and plant them to start your own farm in the sky.